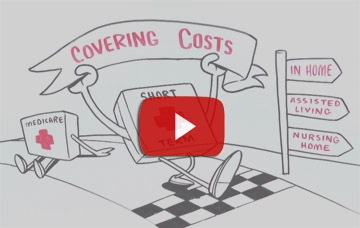 Consult with a Short-Term Care Insurance agent for No-Obligation information / cost comparisons. Thank you for visiting our website. The American Association for Long-Term Care Insurance was established in 1997 with the goal of providing individuals with the most relevant,factual and current information upon which informed decisions could be made. Today, there is so much information about long term care insurance today on the Internet. A lot is now quite out of date and some is just clearly erroneous — even though it comes from websites bearing respected names like The Wall Street Journal and Forbes. Often these are posts by independent individuals not salaried journalists associated with the publication. If you are considering this protection, it can make your life quite difficult and certainly confusing. With that in mind, I hope you find the information contained on this webpage to be of value. I always welcom your input, questions and comments. REPLIES WRITTEN BY Jesse Slome, Executive Director American Association for Long-Term Care Insurance Page Posted February 2014 – Replies represent personal opinion and are intended to give planning or tax advice. When you are ready to request a free, no-obligation cost comparison from a designated long term care insurance professional (a member of the American Association for Long-Term Care Insurance) Click here to complete our simple online questionnaire and get the ball rolling. Click on any of the questions below to jump to read the answer. IF YOU DON’T SEE THE ANSWER TO YOUR QUESTION, please Email Jesse Slome and we’ll get you the answer and add the information here to benefit future visitors. A FALSE IMPRESSION Most people pay FAR LESS. In 2014, someone who is between ages 55 and 59 can expect to pay roughly $100 to $150-per month ($1,200 to $1,800) for the typical average-sized amount of long term care insurance coverage. Keep reading to see a year some average rates from our 2014 Long Term Care Insurance Price Index. So, why do you see news reports that show higher amounts? Some insurance and financial advisers who are quoted by reporters only work with affluent clientele and they regularly recommend “very benefit rich” policies. These are expensive. If you want this much insurance coverage and can afford it, then by all means, but many people incorrectly assume all long term care insurance costs that much. THIS IS CLEARLY NOT THE CASE. Some online news reports misstate the current reality. An online post in The Wall Street Journal (The Case For Skipping Long-Term Care Insurance, February 9, 2014) cites “the average premium can cost anywhere from $4,000 to $6000 annually per person, a lot higher even for high net-worth clients.” My comment … “wow! not even remotely close to reality!” But there it is appearing in a ‘newspaper of record’. I advocate a GOOD – BETTER – BEST approach to long term care insurance planning. You can read more by clicking this link (coming soon). A 60-year old couple will pay about $2,000 a year (combined) and they will EACH have $164,250 of long-term care insurance benefits. Note that policy costs vary by insurer, vary by your health when you apply and, of course by what benefits and features you select. That same 60-year old couple will pay about $4,000 a year (combined) BUT THEIR POLICY BENEFITS WILL GROW to $365,000 EACH when they reach age 85. BOTTOM LINE The only way to know what long term care insurance costs is to request a cost-comparison from an experienced long term care insurance specialist who is appointed with multiple insurers. Click here to have an Association Designated Specialist compare costs for you from leading insurers. There’s NO cost and No obligation. Find affordable short-term care insurance plans in your area.